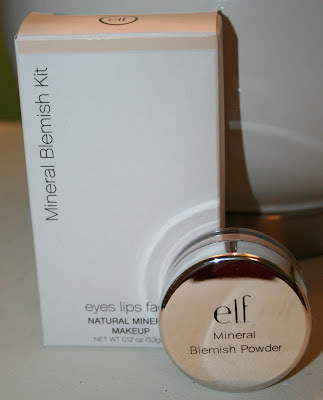 BeautyScraps: ELF Sale Haul: Skincare, Nail Care, Makeup and Free Nail Polish! ELF Sale Haul: Skincare, Nail Care, Makeup and Free Nail Polish! It is pretty lame that a sponge applicator (which is in the compact) counts as the 5th item in this set. Just call it a 4-piece set! It is a good value. This roll on contains Salicylic Acid, Tea Tree Oil, Witch Hazel and Camphor. It claims to prevent acne, reduce swelling and minimize pore size. I get occasional breakouts and I am excited to try this out. I will let you know how it is! I thought this would be perfect for my purse. It has almond and avocado oils and vitamins E, A, C, B5 and Aloe. And it is $1! Worth a try! I can't wait to play with my new E.L.F. goodies! Have you tried anything new from E.L.F. recently? What is your favorite E.L.F. product? Great haul! I just got 2 eye shadow sets and I love them. Very pigmented! OMGGG Flakies for $2?! I definitely need to check these out. Also, to your comment on my site about a blog makeover, I did my new header on www.picmonkey.com and it is super easy to use and there are tons of cute font options if you are looking for something simple! I also suggest www.thecutestblogontheblock.com for already made templates and backgrounds!